Investment/Development Site with Fantastic Commercial Potential!! This superb site is located in the Proposed Highway Business Zone - Specialised Centre and currently in sub areas 8 and 10 (Browns Plains). This level, 4242m2 block is adjacent to the Mount Lindesay Highway,North bound on the Western side and is a High Visibility site with up to 40,700 plus motorists (8.79% Heavy Vehicles) per day on average using this route. 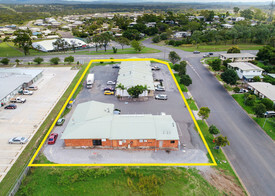 It would be the perfect location for a convenience store, shops, commercial office space, motel, fast food chain, retail space, religious centre, health professionals, car dealerships or mixed use - Subject to Council Approval. The site is currently occupied by a 4 bedroom 2 bathroom home which would need extensive renovations to bring it back up to scratch..